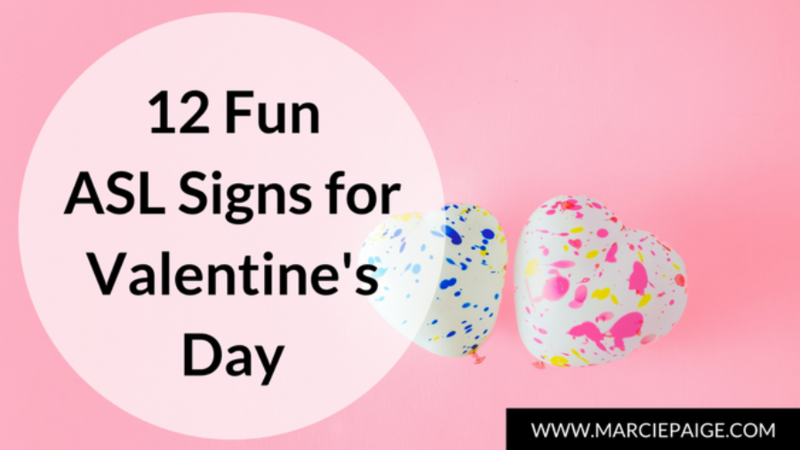 Follow along as I demonstrate 12 fun ASL signs for Valentine’s Day during this short video lesson. You’ll love these delightful signs to help your child connect with you on Love Day! It only takes a few minutes to learn these signs. Then practice them over the next few days so they will be fresh in your memory. 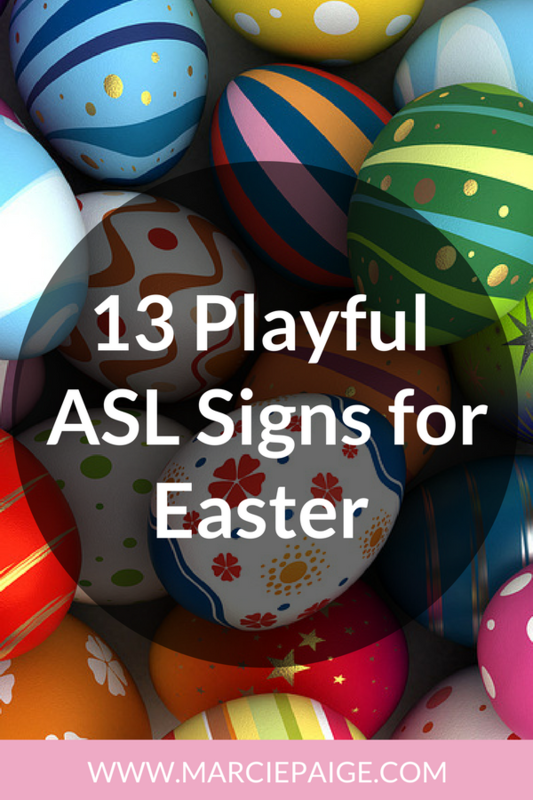 Feeling overwhelmed about learning 12 new asl signs this week? No problem, just pick 3-5 that make the most sense for your family. Your primary goal is to HAVE FUN! Happy Valentine’s Day – To sign HAPPY, place your hand in front of you and with a ‘flat’ hand, palm pointing towards your body, and pat your chest in an upward motion. To sign VALENTINE, use your middle fingers to draw a heart on your chest over your heart. To sign DAY, hold your non-dominate arm in front of you, palm down, pointing to the opposite side of your body. Rest your dominant arm elbow on the back of your non-dominant hand with your index finger pointing up. Let your dominant arm fall down across your body to rest on your other arm. Candy (or Candy Box) – ***Oops! In the video I signed SUGAR/CUTE. *** To sign CANDY, point to the side of your chin, just above your jaw and twist your finger back-and-forth. To sign BOX, use flat hands to show the sides of the box, and bent hands to show the back and front of the box. Red – To sign RED, point to your lips and slide your finger down past your chin. Flower – To sign FLOWER, touch your fingertips to one side of your nose, then the other. Looks as if you are smelling a flower. Roses – To sign ROSES, make an ‘R’ hand (cross your index and middle finger), then touch one side of your nose than the other. Looks as if you are smelling a rose. Heart – To sign HEART, tap over your heart with your middle finger a couple times. Sweetheart – To sign SWEETHEART, begin with both fists together, thumbs up. Then move your thumbs up and down a couple times. Friend – To sign FRIEND, hook your pointer fingers together one way, and then switch them and hook the opposite way. Kiss – To sign KISS, extend your fingers and hold them together. Then touch the side of your mouth, followed by your cheek. Love – To sign LOVE, make fists and cross your arms over your body and squeeze. Kind of like giving yourself a big hug. I Love You – To sign I LOVE YOU, hold up your thumb, index finger and pinkie finger — while keeping your ring finger and middle finger down. Hold your hand out, palm facing towards the person you are talking to, and you move it back and forth slightly. February – To sign FEBRUARY, you are going to fingerspell F-E-B.